don't tell mum how to treat her child. She knows what is best for her little one. How do you recognize bruises? How do you recognize bumps? 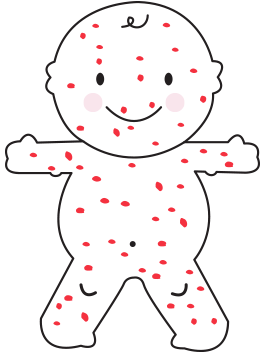 How do you recognize chickenpox? How do you recognize common cold? How do you recognize eczema? 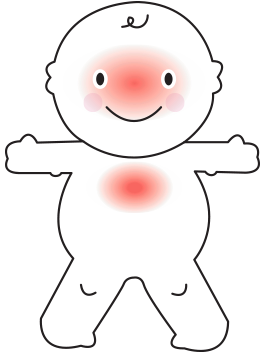 How do you recognize nappy rash? How do you recognize red buttocks? don’t tell mum how to treat her child. She knows what’s best for her little one. When she’s looking for relief during kid’s ailments, she has donttellmum®! Children are treated with love. And so our products are carefully composed with ingredients specially for your child. In user friendly applications. Happy kid, happy you!